VietPress USA (Aug. 29, 2018): The Tallahassee black Mayor Andrew Gillum wins the Democratic primary for the bid to become the Governor of Florida's black Governor. This makes his white opponent candidate very upset. President Donald Trump gives his strong supports to Republican congressman Ron DeSantis who calls black Democratic candidate Andrew Gillum as "Monkey". In an interview today on Wenesday with Fox News' Sandra Smith, DeSantis, who is white, doled out backhanded compliments to Gillum, who is black, calling him “an articulate spokesman.” He said Gillum performed better than other candidates, just before arguing that Florida shouldn’t elect him. DeSantis calls Florida voters not to "Monkey this up". 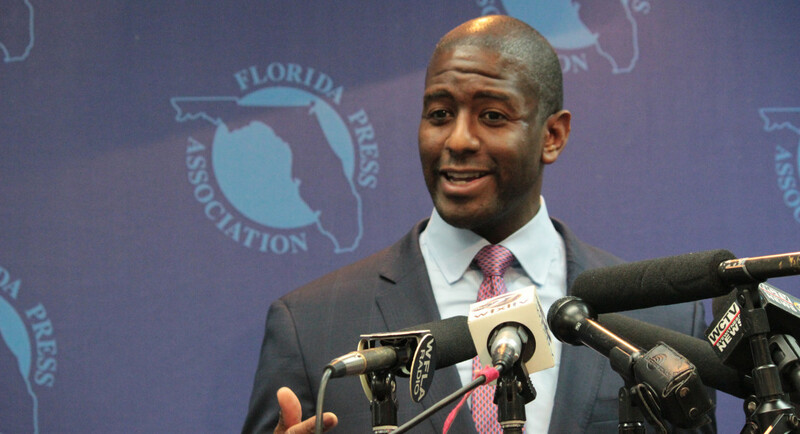 Andrew Gillum became the Democratic nominee for Florida governor on Tuesday night. 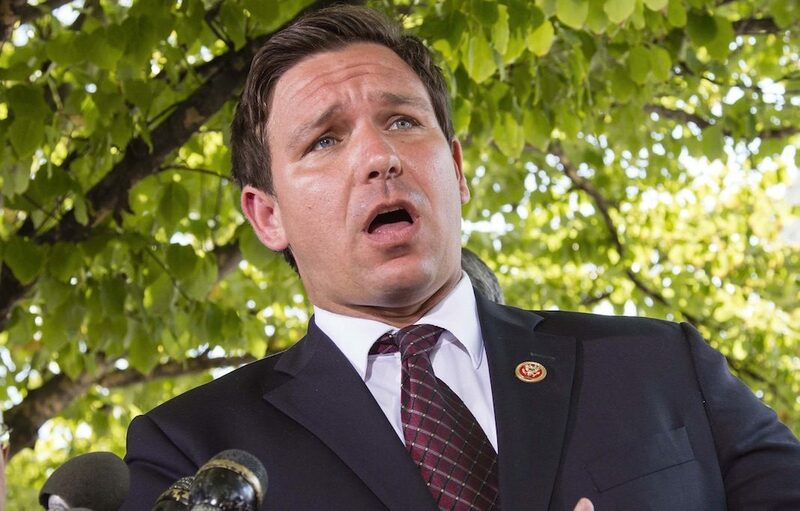 On Wednesday morning, his opponent, GOP candidate Ron DeSantis, made racist dog-whistle comments about him. During an appearance on Fox News with Sandra Smith, DeSantis, who is white, doled out backhanded compliments to Gillum, who is black, calling him “an articulate spokesman.” He said Gillum performed better than other candidates, just before arguing that Florida shouldn’t elect him. “The last thing we need to do is to monkey this up by trying to embrace a socialist agenda with huge tax increases and bankrupting the state,” said DeSantis to Smith. Gillum, mayor of Tallahassee, is backed by Bernie Sanders and is campaigning on progressive policies. President Donald Trump has expressed his support for DeSantis. When asked for comment, Gillum’s campaign referred HuffPost to Florida Democratic Party Chairwoman Terrie Rizzo. “It’s disgusting that Ron DeSantis is launching his general election campaign with racist dog whistles,” Rizzo said in a statement sent to HuffPost after the interview. Stephen Lawson, communications director for DeSantis’ campaign said the comments were about Florida’s economy. Fox News aired a follow-up segment after the debacle, calling the comment “inappropriate” and indicating that DeSantis has since “clarified” his statement. “We do not condone this language and wanted to make our viewers aware that he has since clarified his statement,” said Smith in the segment. 12 hrs into the general election cycle, Ron DeSantis has already alluded to Andrew Gillum as a 'monkey.' This is the spirit of racial animus that fuels today's GOP. That Trump and his friends in politics use to energize a white base. It's baseless + un-American. They‘ve only been running against each other for 10 hours!! GOP nominee #FLGov Ron DeSantis just said Florida shouldn't "monkey this up" by electing Andrew Gillum the African American man who last night became the Dems nomineee. In Florida news, Ron Desantis said (on live TV) that Andrew Gillum will "monkey this up" regarding running Florida. RT so that we can let more people know what coded racist words this man uses. This story has been updated to include comments from DeSantis and Fox News.